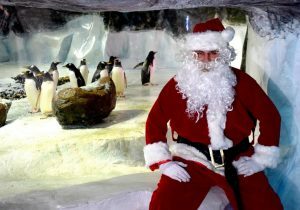 Visitors to the National Sea Life Centre Birmingham are invited to meet Santa in his Antarctic Grotto from the 25th November to 23rd December 2017. The centre’s family of Gentoo penguins are a firm favourite amongst visitors of all ages and the lovable waddling birds have expanded their numbers this year with the addition of the aquarium’s first ever baby chicks, born in June. 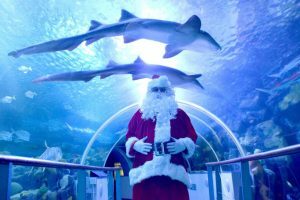 Plus, don’t miss Sea Life’s underwater Christmas tree located in the amazing 360 Ocean Tunnel, and discover how staff make sure all creatures have a very Merry Fish-mas! All this plus meeting Santa and a free gift from the man himself is included within all admission tickets for the perfect festive experience this holiday season. Plus, if you are looking for a fantastic festive gift, how about a unique VIP Feed experience with some of the centre’s most loved creatures? Prices start from just £65 with Molokai, the Giant Green Sea Turtle. 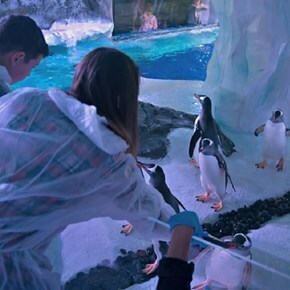 For penguin lovers, there’s the opportunity to feed the adorable Gentoo penguins, firm favourites with visitors at the centre. 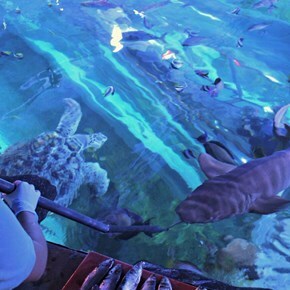 Alternatively, visitors can brave the sharks and give them their tasty lunchtime treats. 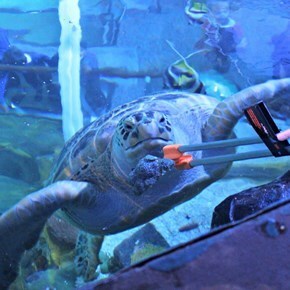 -Please note there is a minimum age restriction of 14 for the penguin feeding experience and 12 for the shark feeding experience and the turtle feeding experience. 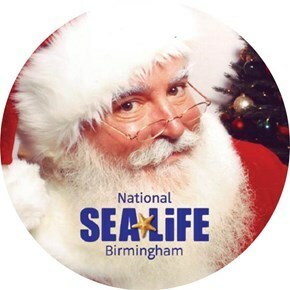 For further information about The National Sea Life Centre Birmingham, or to pre-book tickets online before your visit, please go to www.SEALIFE.co.uk/birmingham/. Reduced prices are available for tickets booked in advance. Children under 3 go free.